MMD National Treasurer Elizabeth Chitika has issued a stern warning against expelled Lunte Member of Parliament Felix Mutati to desist from his desperate acts of lawlessness which he is engaging in by going round the country, calling for an MMD Convention because he and two others, who campaigned for the UPND in 2015 and which they have now formally joined, have taken the matter to court and should now be patient to wait for the courts to rule. She said Mutati now risked being cited for contempt and being locked up since the matter is now before a competent court. In a press statement released to the media, Mrs Chitika said that Mr. Mutati cannot be championing a sudden zeal to mobilize MMD structures which he personally destroyed when he took the same structures to the UPND in January 2015 when he decided to campaign for the UPND abandoning his own party the MMD. She wondered why Mr. Mutati had never offered himself to help mobilize and rebuild the party ever since he lost MMD elections to Dr. Nevers Sekwila Mumba in 2012, but instead was now pretending to be mobilizing the same party, just four months before the elections. She challenged Mr. Mutati to stop fooling himself and openly campaign for the UPND since it is common knowledge that he is a member of that party. Mrs Chitika said Mr. Mutati had deceived the nation by threatening to sue the UPND for using his picture on the UPND 2016 Campaign calendar without his permission, but as was suspected, it was merely one of his usual gimmicks as that issue has now died a natural death. The MMD must rally behind Howard Kunda, the only MMD MP to win a by- election since 2011. His leadership would introduce youth and ambition back to the party and will be able to survive beyond 2020. Really? You must first understand the circumstances that led to the by election then look at the persona of the person you are proposing to be a leader! Is he leadership material capable of marshaling the entire membership of MMD to victory in a presidential election ? Does he have the nerve and intellectual capacity to acticulate issues of national and international importance? Or is he merely riding on his late father’s glory? Elizabeth Chitika MMD National Treasurer?! When was she elected? And at which convention? 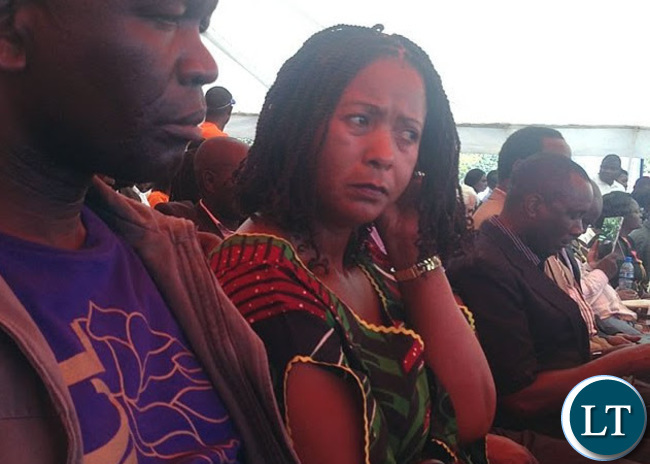 Elizabeth Chitika was elected as National Treasurer by the same NEC that elected Mwansa Mbulakulima as National Secretary, the same one that forgave Mutaati and others who defectors to the UPND in 2015 and came back. The same NEC appointed renegade Raphael Nakacinda as Party Spokesperson and invited him to be a NEC member.